Gorgeous card Faye, I like the sweet image and the button. 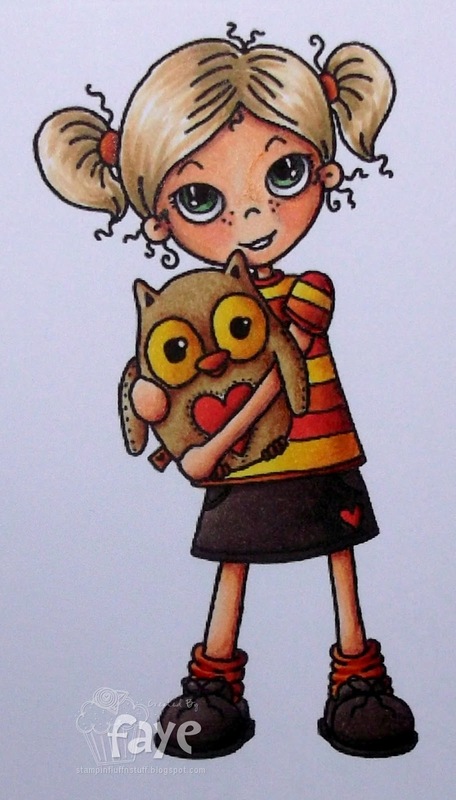 This is gorgeous Faye, I love the sweet image and your colouring is always so beautiful. Love, love, love how you colored her!!! The burlap is the perfect detail here!! Awesome card!! Fantastic card, Faye! Love the warm colors and cute image! Awesome coloring! Very nice card and lovely coloured ! This is gorgeous Faye. Fabulous colouring. 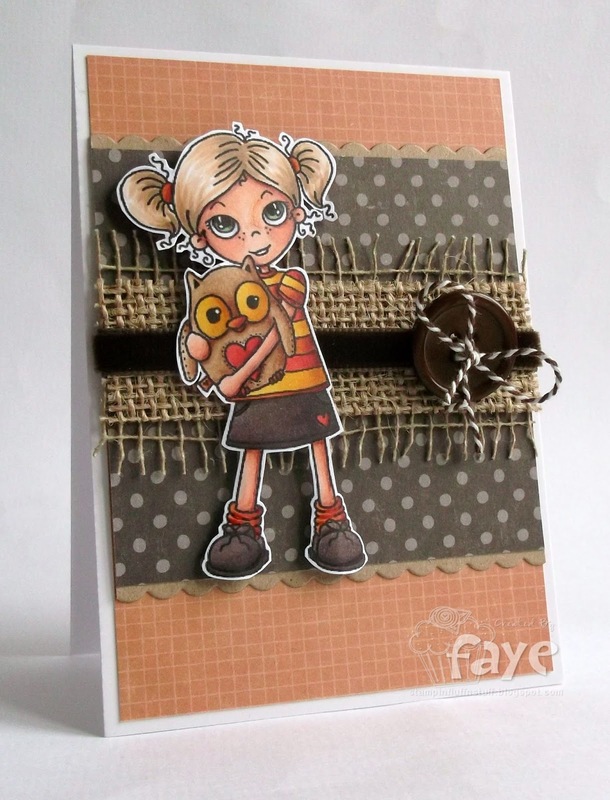 Fabulous Faye, love the design! You do those eyes so well. hugs Muver. Great combination of colors and textures - I think it makes a beautiful background for this sweet image! This is a fabulous card, such a lovely image and great design. What a stunner!!! Gorgeous image -0 amazing colouring and I love the detailing. This is so beautiful and stunning in autumn colors! WOW I love it! 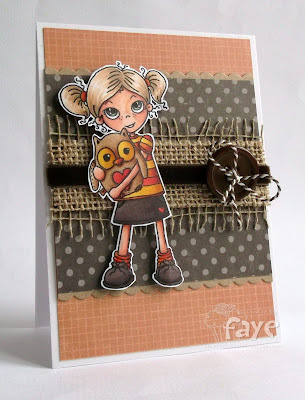 Gorgeous cute image and I love the texture and layers you've added to your card.